Get ready for some scary fun with the return of The Sims 4’s Spooky Stuff pack. Originally released in 2015, this updated version of the pack will bring new outfits, objects and gameplay features. Pumpkin Carving Station. Get creative with your Sims and turn pumpkins into art. Ghost Sims can put a candle-lit pumpkin on their heads! Just beware of mischievous Sims who’d rather stomp than admire. Spooky Candy Bowl. Reach in for a surprise. But will it be a trick or a treat? See what your Sims find when they interact with this creepy decoration. Watch the trailer for the add-on below. 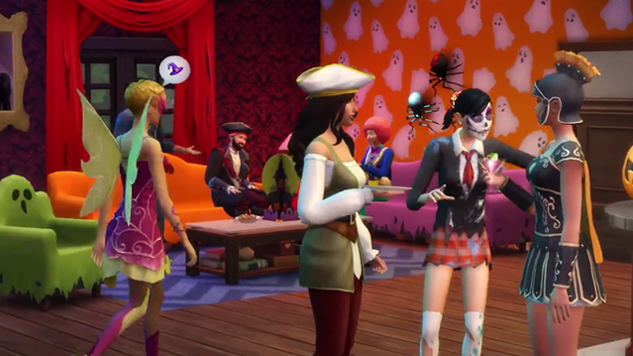 The Sims 4 Spooky Stuff will release on Oct. 2.